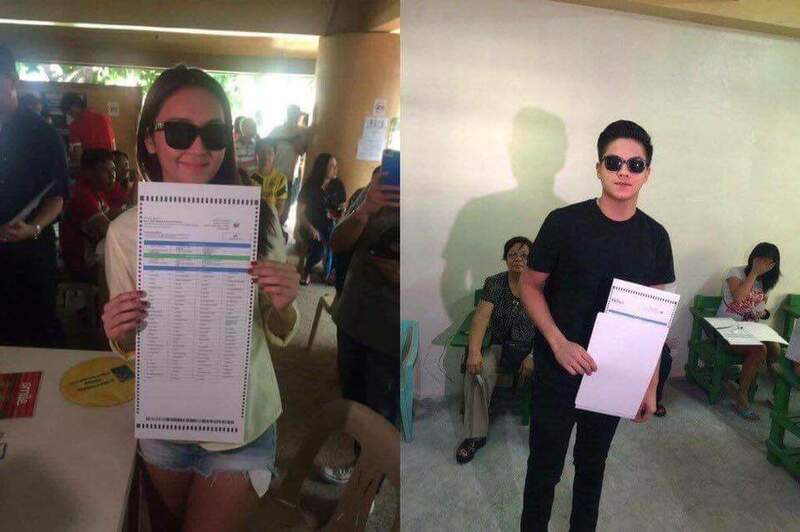 The Kathniel love team of Daniel Padilla and Kathryn Bernardo is at it again on social media with photos of them with their ballots circulating around Facebook. The two are first time voters and are probably excited to experience voting. Thing is COMELEC just advised that it is illegal to take photos of your ballots before submitting it. Or at least something to that effect. 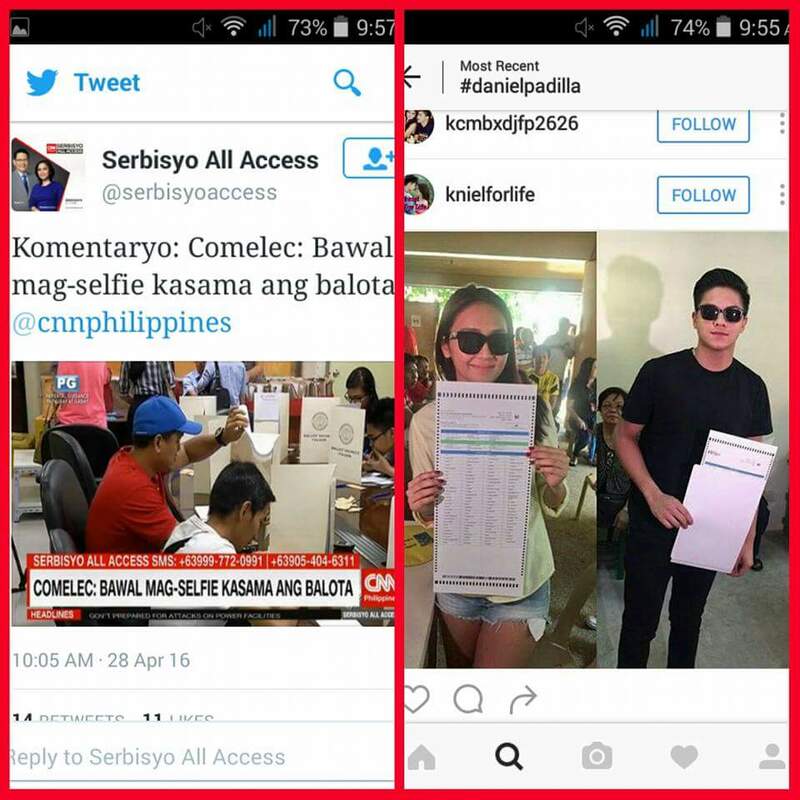 Non-fans are now citing the ruling on the love team even going as far as calling out COMELEC for a response to this. Padilla was recently in hot water over his statements regarding voters and to so-called psuedo political analysts who couldnt even vote. If you ask me, we can chalk it up to the handlers and the station. But we can’t blame them if the goal is to just entice young voters to go out and vote. I’m more interested on who Bernardo picked as her president. She’s with Mar Roxas as a celebrity endorser but at the same time an active member of the Iglesia ni Kristo sect. So… Duterte or Mar? So whats your take on this? Leave a comment below and follow me on twitter and instagram at @thefannoyseo.